Pancakes are one of my favourite breakfast foods. There is seriously nothing like warm, freshly cooked pancakes drizzled with maple syrup and with pure butter spreaded on to it. 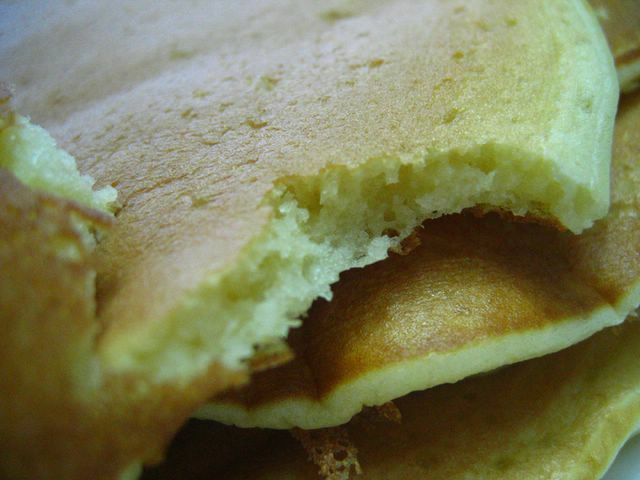 The best thing about pancakes, is that it’s also easy to make. But I gotta tell you, the secret to good pancakes is really the batter (duh…) and the consistency of it. I purposely shot one very close-up, with a torn piece. Note how nice and fluffy it is? And the thickness is just right. I got to admit that previous pancake recipes I’ve tried, didn’t ever quite turn out like these. It ain’t no ordinary batter, mind you. It might look normal, but it really isn’t. It’s magical! It gives you nice golden brown fluffy pancakes that can rival any others. What’s the ‘secret’? No, not milk added with butter. But actual buttermilk! Buttermilk is actually the liquid left after butter is made from cream. But the ones supermarkets sell are cultured ones, at least the one I bought was. Anyway, I was very happy with my pancakes today. I am definitely going to be using this recipe very often. I can’t remember where I got it. It’s one of those printed recipes I put in my recipe ringbinder. 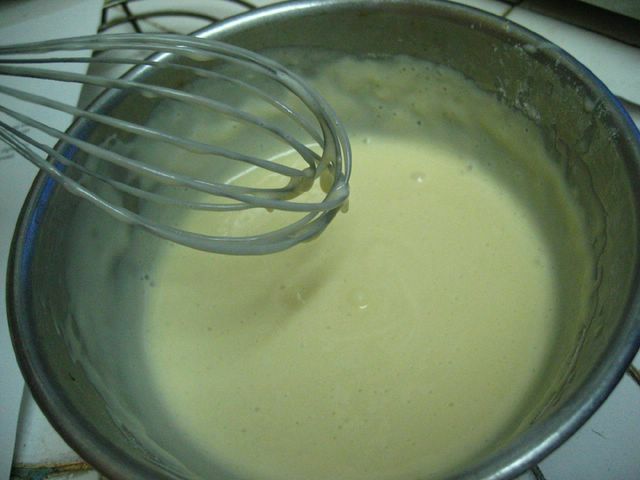 Besides, it’s so easy, it took me only a few minutes to mix my batter and another 10 to 15 minutes to cook them. Quick and easy. I ate them after my 5km run this morning and boy was I satisfied. Whisk together first three ingredients. Add in the rest of the dry ingredients and whisk well. Heat a nonstick pan/griddle until drops of water sizzle when sprinkled on to the surface. Pour batter onto pan in whatever size or shape you fancy. When bubbles form and edges look slightly dry, use a spatula to flip the pancake and cook for another 30-60 seconds, until second side is evenly browned. Makes about 6 pancakes. I always wondered about those hotcakes. They were just about the only things McDonalds did properly. Your recipe looks very good – I’ll give a try one of these lazy Sunday mornings. 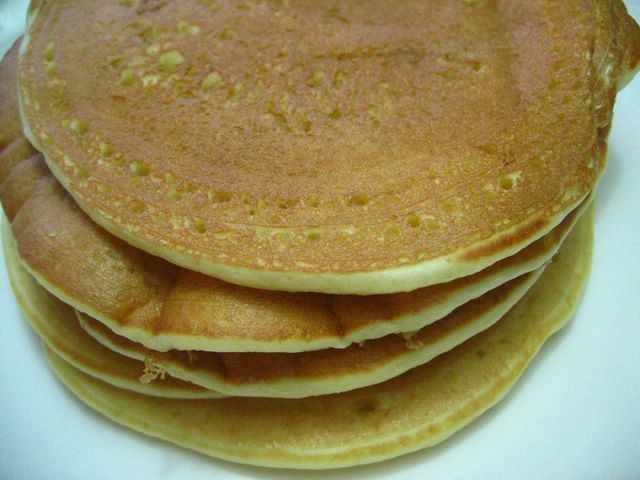 I like using buttermilk in my pancakes because it’s so rich tasting that I don’t need to add butter to the batter. These look great. I love a healthy breakfast. They loooked sooooo goooood in da pics!! I can never make my pancakes look this good.. They always come out burnt~ but if buttermilk does it, then Im going to try it out~ hehehe tahnx for the recipe babe! wah..your pancakes look really good. Thanks for posting a recipe for them! I will have to try these instead of the quick packaged kind! colin: my thoughts exactly. oooo yes, with ice-cream! i wish i had an ice-cream maker, i could make some vanilla ice cream to go with those pancakes. yum. nic: yea and now i will only use buttermilk when i make pancakes. i am seriously hooked on these fluffy pancakes. jennifer: please do… it’s really easy to put these pancakes together. you’ll love them. tanvi: i second that. i hardly use buttermilk because it’s expensive but now I think it’s well worth it! hmmm i have never used buttermilk, but the recipe i used has ricotta cheese. Where did u get yr buttermilk? ?